Feeling the need to invest more efforts into bringing news to the table, we’ve decided to publish one blog post month with the latest updates. That’s how we started our newest editorial project called The Monthly Presslabs Round-up, with the aim of keeping our community up to date with our latest deeds and also as a reflection exercise that hopefully will generate us, even more, drive to get things done, the right way. We’ve had a productive month back in May as we’ve worked really hard to improve several platform features and, most of all, to improve our communication and terms of collaboration with our clients. We were also really excited to be part of WordPress Camp Viena while our team of software engineers worked to develop a new infrastructure using Go and to plan new features to our dashboard. We were so proud to announce our integration of Gitea in our platform, through which you can make changes in your source code and you can manage it in a simple and easy way, ditching the old SFTP. Cherry picking in June.Cherry picking in June. over time, our site and dashboard have undergone many changes; now the time has come to invest some time in the look & feel of our documentation, too. we’ve also started working on an end-to-end test for Kubernetes and MySQL operators. This is last level to ensure that the end user operations match with development specifications. Robert is a junior software engineer with a passion for web design and mobile development and a solid Java foundation. 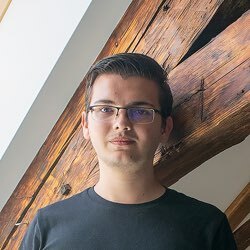 He’s currently studying Computer Science at Politehnica University of Timisoara. 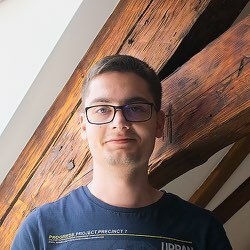 Robert plays his part in the development team by working with our colleagues to rewrite the Presslabs infrastructure in GO. Otniel is studying Computer Science at Politehnica University of Timisoara, Faculty of Automation and Computers and he works as junior software engineer. He’s interested in security and Artificial Intelligence and he’s really proud of his C and C++ knowledge. With the support of our team, our new colleagues started learning Go language. What’s new on the block?What’s new on the block? Our news and announcements don’t stop here, we have added a new blog post category, through which we want to help our clients to understand the fundamentals underlying programming concepts. The “How to“ blogpost category was born out the desire to get closer to our the needs of the people we work with and learn from everyday—the publishers, the agencies and the Enterprise companies that encounter various WordPress related challenges and let us help them find creative solutions. Many articles have emerged directly from their feedback and experiences, which served as merely occasions for both of us to explore new ways of making the most of what we all want: performance. We are always excited when we talk about our successful stories with our clients, especially if it’s an 8-years collaboration! We are fortunate enough to be part of this long-term partnership with Freshome, one of the top 5 global publishing brands in interior design. It’s such a nice feeling when our clients feel like they’ve earned and experience, not just a service. We’re grateful! And now back to our “How to” blog post series, in June we posted two articles in this category. The first one is an overview of what Google SMTP server stands for and how can be useful for publishers and businesses. Briefly, Google SMTP is a mail transfer protocol server, that allows you to send emails in an easy, fast and flexible way. Beyond this features, to set up Google SMTP it takes only a few minutes if you have a Gmail account and more than that offers free delivery of up to 100 emails per 24 hours period. Because we recommended only things in which we have trusted, at Presslabs we are using it for sending emails and from our point of view, it’s a great alternative for small businesses, freelancers, and companies alike. Hoping that there’s always more room for tech know-how, the 3rd article we published in June comes with a comprehensive guide on DNS records and domain name systems. In simple terms, DNS records represent a database that translate human URLs into IP addresses. For an easier understanding DNS records, head to our article, DNS records explained: what is the domain name system. Something’s baking in July!Something’s baking in July! We’re certainly fully immersed in our growth plans this month. More than that, we’re going to take some time to continue our work on the Presslabs platform. Our tech team is working on a smooth refactoring to make the code clear to understand and easy to fix. Hint: we’re going to develop a cluster which allows you to perform backups while the cluster is off. Stay close, we are coming with new announcements next month that will be shared with you!